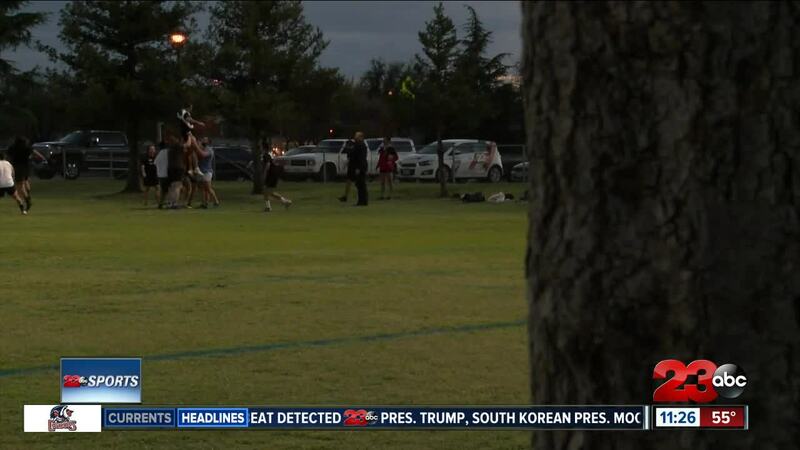 BAKERSFIELD, Calif. — On Tuesday and Thursday evenings at a local Bakersfield park, you can spot the Kern County Rugby Club practicing. A team and tradition that's been around since 1970. The 2018-19 squad is bringing attention to the sport as they just keep on winning, going 7-0 ahead of their final league game led by a coach that joined the club just over a year ago. As rugby continues to grow in our country and here in town, this club continues to find diverse talent with current players ranging in age from as young as 18 and as seasoned as 45. “I've seen guys in their late 80s, early 90s playing rugby and still getting around the field. And you’re never too old to play a sport you’ve been playing for years," Jacobs said. The diversity doesn’t end there as the team also represents nearly ten different nationalities, likely making Bakersfield feel a little bit smaller, but this team knows it’s a game that brings many backgrounds together. “I've gone all over the country and met tons of people from all over the world. Once you play rugby it’s a brotherhood," Jacobs shared. The game that began in the early nineteenth century across the pond, but wasn't adopted in America until the '70s has found a way to draw attraction in this country and Kern County. One of the reasons players call to the game is its similarities to football while also allowing athletes to compete in a high action sport that doesn't slow down. A former lineman recalls why he began playing rugby. "Every one runs the ball, everyone tackles, non-stop switching back and forth and just being an impact player no matter what position you play," Kern County Rugby captain Edward Cummings said. "It's great." While this team has found a great deal of success with their wide array of players, there's still one reason why each of them keep coming back; the tradition. The club plays on Saturday at 1:00 p.m. in its final league game of the season and a win would give the top seed in playoffs. If you'd like more information on the team, head over to the team's website: http://www.kcrugby.com .